Renet visits April. 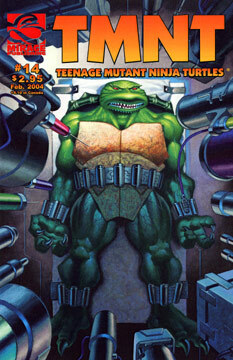 Donatello and the Utroms refine their investigation. The Fugitoid works with scientists to try to determine what’s happening to Raphael. Mikey continues his tour guide duties. Leo meets with Karai to discuss a new problem.